In the chaotic aftermath of New England’s 13-3 win over the Rams on Sunday, Tom Brady was clearly the center of attention. Even though he had definitely not played his best game, and even though his teammate Julian Edelman was voted MVP of the Super Bowl, it seemed like virtually everyone was striving to get to Brady in the middle of the field at Mercedes-Benz Stadium in Atlanta once the game had ended. He was greeted with hugs and kisses by his teammates, by his opponents, by Coach Belichick and even by Patriots owner Bob Kraft. No quarterback had ever won a Super Bowl at age 41, and everyone understands that the clock is ticking on Tom Brady’s football career. This could be Brady’s last turn on the Super Bowl stage, and the gravity of the moment seemed to weigh very heavily on the Patriots and their fans throughout the game. If Brady lost, he would be remembered as a Hall of Fame quarterback that lost his final two Super Bowls, but if he won he would forever be remembered as the quarterback with six Super Bowl rings. Overall, Tom Brady has reached the Super Bowl nine times as the quarterback of the Patriots. That is a number that no quarterback will ever equal. And the NFL is set up in such a way that it is extremely difficult for one team to stay on top. Losing teams get higher picks in the college draft, and the salary cap ensures that all teams have roughly the same amount of money to spend on players. In addition, winning teams always play more difficult schedules the next year, and so it is just very, very hard to maintain a high level of success for an extended period of time. But the Patriots have found a way to do it for nearly two decades, and the two constants have been quarterback Tom Brady and coach Bill Belichick. In reality, this Super Bowl belonged to Bill Belichick far more than it did to Tom Brady. During the regular season the Rams were one of the highest scoring offenses in the league, but on Sunday evening they did not score a single touchdown. The only other Super Bowl team not to score a touchdown was the 1971 Dolphins. So the truth is that the defense was the major reason why New England won the game, but now Tom Brady has his sixth Super Bowl ring, and nobody will ever be able to take that away from him. Yes, it was kind of a boring game, but in the end that won’t be what we remember. 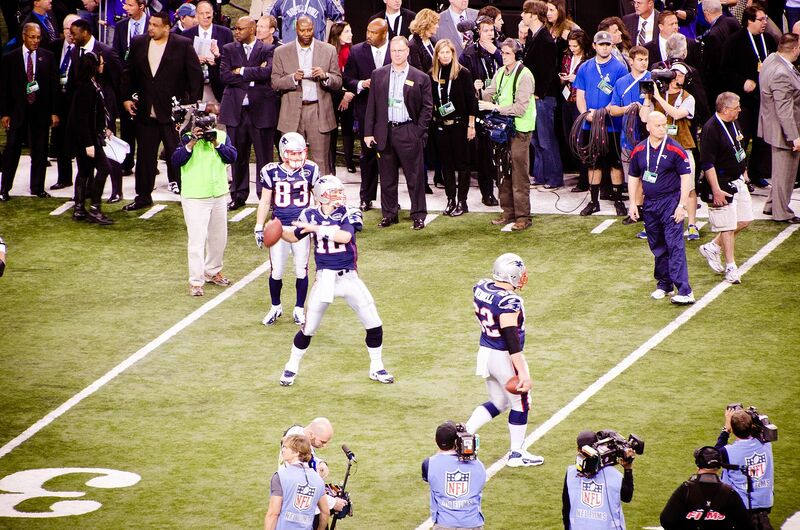 What we will remember is that this was the final Super Bowl victory for the greatest quarterback of all time. The Rams played really poorly on offense on Sunday, and a big reason for that was the fact that New England had far more fans at the game than L.A. did. United chants of “Brady, Brady, Brady” showered the field from the majority of the 70,000 fans at Mercedes-Benz Stadium during the defining drive of Super Bowl LIII on Sunday in Atlanta. And the future Hall of Famer came through once again, guiding the New England Patriots to a 13-3 win against the Los Angeles Rams and snatching his record sixth Vince Lombardi trophy. A recent Scott Rasmussen poll found that 61 percent of Americans will be cheering on the Rams on Sunday. Of that number, 51 percent said they did not care about Los Angeles but were just keen to see the Patriots lose. But whether you love them or you hate them, hopefully you can respect what Tom Brady has been able to accomplish. Going to nine Super Bowls and winning six of them is an incredible achievement, and there will never be another quarterback like him. I have to admit that I have always liked the Rams, and I was a big fan of the “Greatest Show Of Turf” team that Tom Brady beat to win his first Super Bowl. At the time, I thought that Brady and the Patriots were a fluke. But this time around I was rooting for the Patriots, and I was very pleased that they won. However, during the aftermath of the game my wife asked me why I didn’t seem happy. After all, my team had just won the Super Bowl and Tom Brady had just secured his place in football history forever. Was it just because the “Patriots era” is ending that I was feeling quite melancholy, or was it something deeper than that? As I sit here, to me it feels like this is the beginning of the end for an entire era in American history. Just like we will never see another quarterback like Tom Brady, many believe that we will never see another era of peace, prosperity and partying like the one that we have all been enjoying. And just like the Patriots, America feels like it is on top of the world right now, but our clock is ticking too. If you do not believe that China is wiping the floor with America in front of the rest of the world, just keep reading. The following are 47 signs that China is absolutely destroying America on the global economic stage…. #1 Back in 1998, the United States had 25 percent of the world’s high-tech export market and China had just 10 percent. Today, China’s high-tech exports are more than twice the size of U.S. high-tech exports. #2 America has lost more than a quarter of all of its high-tech manufacturing jobs over the past ten years. #3 The Chinese economy has grown 7 times faster than the U.S. economy has over the past decade. #4 In 2010, China produced more than twice as many automobiles as the United States did. #5 In 2010, China produced 627 million metric tons of steel. The United States only produced 80 million metric tons of steel. #6 In 2010, China produced 7.3 million metric tons of cotton. The United States only produced 3.4 million metric tons of cotton. #7 China produced 19.8 percent of all the goods consumed in the world during 2010. The United States only produced 19.4 percent. #8 During 2010, we spent $365 billion on goods and services from China while they only spent $92 billion on goods and services from us. #9 In 1985, the U.S. trade deficit with China was 6 million dollars for the entire year. The final U.S. trade deficit with China for 2011 will be very close to 300 billion dollars. That will be the largest trade deficit that one nation has had with another nation in the history of the world. #10 The U.S. trade deficit with China is now 28 times larger than it was back in 1990. #11 Since China entered the WTO in 2001, the U.S. trade deficit with China has grown by an average of 18% per year. #12 According to the New York Times, a Jeep Grand Cherokee that costs $27,490 in the United States costs about $85,000 in China. #13 According to the Economic Policy Institute, America is losing half a million jobs to China every single year. #15 The United States had been the leading consumer of energy on the globe for about 100 years, but during the summer of 2010 China took over the number one spot. #16 15 years ago, China was 14th in the world in published scientific research articles. But now, China is expected to pass the United States and become number one very shortly. #17 China is also expected to soon become the global leader in patent filings. #18 In 2009, the United States ranked dead last of the 40 nations examined by the Information Technology & Innovation Foundation when it came to “change” in “global innovation-based competitiveness” over the previous ten years. #19 China now awards more doctoral degrees in engineering each year than the United States does. #20 China now possesses the fastest supercomputer on the entire planet. #21 China now has the world’s fastest train and the world’s most extensive high-speed rail network. #22 The construction of the new $200 million African Union headquarters was funded by China. #23 Today, China produces nearly twice as much beer as the United States does. #24 85 percent of all artificial Christmas trees are made in China. #25 Amazingly, China now consumes 53 percent of the world’s cement. #26 There are more pigs in China than in the next 43 pork producing nations combined. #27 China is now the number one producer of wind and solar power on the entire globe. #28 Chinese solar panel production was about 50 times larger in 2010 than it was in 2005. #29 Right now, China is producing more than three times as much coal as the United States does. #30 China controls over 90 percent of the total global supply of rare earth elements. #31 China is now the number one supplier of components that are critical to the operation of U.S. defense systems. #32 According to author Clyde Prestowitz, China’s number one export to the U.S. is computer equipment. According to an article in U.S. News & World Report, during 2010 the number one U.S. export to China was “scrap and trash”. #33 The United States has lost an average of 50,000 manufacturing jobs a month since China joined the World Trade Organization in 2001. #34 Back in the year 2000, more than 20 percent of all jobs in America were manufacturing jobs. Today, only about 5 percent of all jobs in America are manufacturing jobs. #35 Between December 2000 and December 2010, 38 percent of the manufacturing jobs in Ohio were lost, 42 percent of the manufacturing jobs in North Carolina were lost and 48 percent of the manufacturing jobs in Michigan were lost. #36 The average household debt load in the United States is 136% of average household income. In China, the average household debt load is 17% of average household income. #37 The new World Trade Center tower is going to be made with imported glass from China. #38 The new MLK memorial on the National Mall was made in China. #39 A Washington Post/ABC News poll conducted a while back found that 61 percent of all Americans consider China to be a threat to our jobs and economic security. #40 According to U.S. Representative Betty Sutton, an average of 23 manufacturing facilities a day closed down in the United States during 2010. 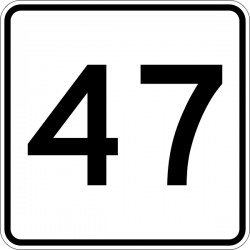 #41 Overall, more than 56,000 manufacturing facilities in the United States have shut down since 2001. #42 According to Professor Alan Blinder of Princeton University, 40 million more U.S. jobs could be sent out of the country over the next two decades. #43 Over the past several decades, China has been able to accumulate approximately 3 trillion dollars in foreign currency reserves, and the U.S. government now owes China close to 1.5 trillion dollars. #44 According to the IMF, China will pass the United States and will become the largest economy in the world in 2016. #45 According to one prominent economist, the Chinese economy already has roughly the same amount of purchasing power as the U.S. economy does. #46 According to Stanford University economics professor Ed Lazear, if the U.S. economy and the Chinese economy continue to grow at current rates, the average Chinese citizen will be wealthier than the average American citizen in just 30 years. #47 Nobel economist Robert W. Fogel of the University of Chicago is projecting that the Chinese economy will be three times larger than the U.S. economy by the year 2040 if current trends continue. If the global economy was a game, America would be losing very badly and China would have all the momentum. Unfortunately, the global economy is not a game. Very real businesses and very real jobs are affected by this every single day. Barack Obama keeps talking about how “the economy is improving“, but the reality is that we have never even gotten close to where we were back before the financial crisis of 2008. 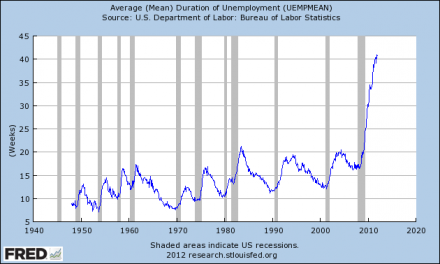 The following chart (which I pulled off a Fed website today) shows the average duration of unemployment in America. Does this look like an economic recovery to you?…. The Obama administration tells us that the official unemployment rate is only 8.5 percent, but that is a joke. Even the Congressional Budget Office admits that the official unemployment rate should actually be somewhere up around 10 percent. But the real story is the number of long-term unemployed workers we have in America today. According to the Hamilton Project, approximately 53 percent of all unemployed workers in the state of Florida were out of work for more than six months during 2011. But Barack Obama seems absolutely amazed that there are still so many unemployed people out there during his “economic recovery”. Just check out the following interaction that took place between Obama and one concerned wife during a recent appearance by Obama on Google+…. “Can I ask you what kind of engineer your husband is?,” Obama said to the wife of the unemployed engineer. “He’s a semiconductor engineer,” she responded. Obama does not realize that it is not so simple to “find something right away” in this economy. We have been shipping high-tech jobs overseas at a blistering pace. The jobs simply are not there anymore. In Europe, unemployment is even worse. Just check out this chart which shows what has been happening to youth unemployment in Europe recently. In both the United States and Europe, a great disconnect has taken place. Just because big corporations in the U.S. and in Europe are doing well, that does not mean that they are going to provide good jobs for workers in the U.S. and in Europe. These days, it is way too easy for big corporations to ship jobs over to places like China where it is perfectly legal to pay workers slave labor wages. So unless something changes, that means that from now on there will be chronic structural unemployment problems in the United States. That also means that the number of Americans dependent on the government is going to continue to increase. And unfortunately, there are signs that the economy is about to experience another downturn. Consumer confidence in the U.S. is falling once again. The Baltic Dry Index, which is often used as a measure of the health of the world economy, has fallen more than 60 percent since October. Perhaps most importantly of all, Europe is heading into a recession and several European nations are already experiencing depression-like conditions. Considering the fact that half of all global trade involves Europe in some manner, that is not a good thing for us. So if you have a job right now, you might want to hold on to it tightly. Jobs are precious commodities at the moment, and they are going to become even more scarce in the years ahead.